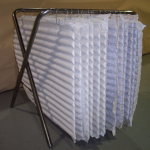 The Enviro-Curtain™ is your solution to removing CO2 in mine refuge shelters, barricaded areas or sealed confined spaces, using safe soda lime (not lithium hydroxide) for removing CO2. 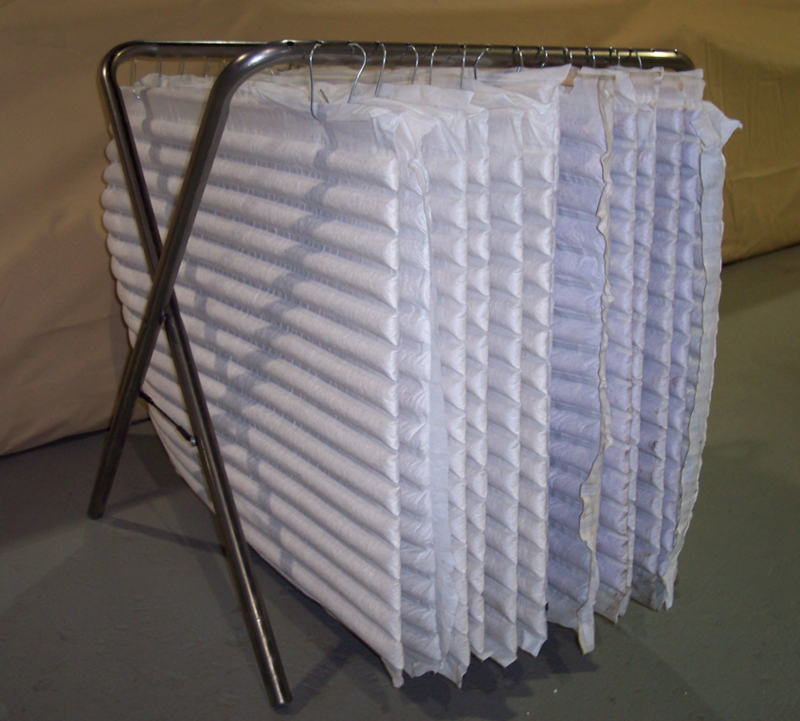 Part of the MSHA required, harmful gas removal component, (4) CO2 scrubbing curtains are sealed in an air-tight foil pouch ready for use. The curtains are then installed on a special folding stand and placed at designated locations within the shelter. The Enviro-Curtain™ can be custom designed to the specified number of people and hours needed. 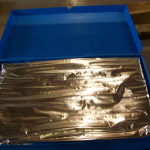 Dimensions: Box 40" X 26" X 2-1/2"